The taste of freshly baked bread is always amazing. Nothing beats the wonderful aromas of baking bread on a cold fall or winter’s day. At least that’s what Becky tells me. Although the smell of still warm from the oven chocolate chip cookies when she comes home from work is rated highly as well. I can still remember the feeling of coming home from school and my mom having chocolate chip cookies on a plate for me. It’s creates such a warm feeling of home, coziness and love. That’s probably why I like to do it for Becky. I’ve been baking cookies since I was around 10 years old, so it wasn’t much of a surprise that I eventually found myself working in a small bakery which sold only homemade cookies. Baking bread is something more recent for me. Probably beginning just a few years ago. In the past year we have only purchased bread from a store a few times (usually when I’m feeling lazy). Bread making is said to be a very accurate science with no messing around with quantities. I would completely agree…..except for the recipe I’ve been using. The basic recipe is from the Joy of Cooking. 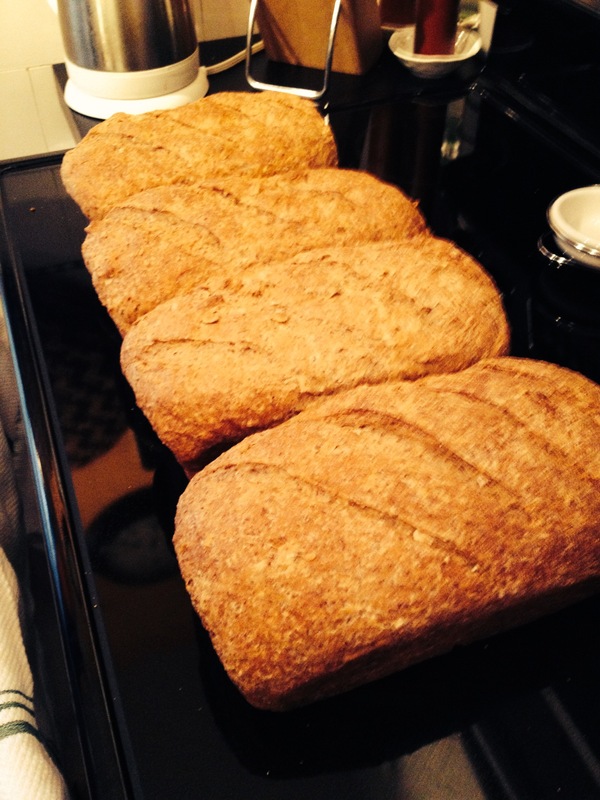 It’s a white bread recipe which I began substituting whole wheat flour for white bread flour on my second batch. Everything else stayed the same with the exception of 1/4 teaspoon extra yeast. Subsequent batches saw many things added and the recipe only being used as a quick reference. In the world of baking this usually turns into a disaster. However, after baking many loaves I have never had a failed batch. I’ve added whole wheat flour, dark rye flour, red fife flour, bran, wheat germ, quick oats, sunflower seeds, chia seeds, flax meal, spelt flakes, and maca powder. The results…..total awesomeness!! Why bake your own bread? I do it for several reasons. Mainly because I like to bake, but after that other reasons include: knowing exactly what ingredients are being used; having no preservatives added; flexibility to make exactly what you want; and, some money savings when compared to buying an equal quality artisan store bought bread. 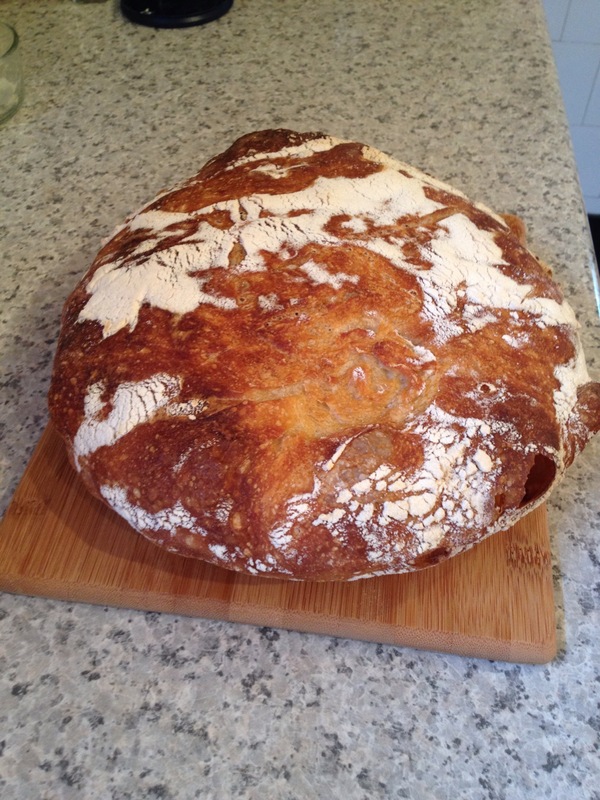 Most reluctance around baking ones own bread comes from a belief that it’s too difficult or time consuming. Not true. If you can follow a recipe, you can bake bread. As for it being time consuming, think about it like doing a load of laundry. When you do laundry it doesn’t take 90 minutes (30 min wash and 60 min in the dryer). It really only takes a few minutes to load the washer, a few minutes to transfer everything to the dryer, and finally a few minutes to fold everything. Total working time on your part might be 10 minutes or less. The rest of the time you are doing other things. The same is true for bread. Mix a few ingredients and let it sit while you do other stuff. Mix it again and put it in a loaf pan to sit some more. Go enjoy yourself. Put it in the oven. Set the timer and go do some fun stuff. Remove and enjoy! Simple!! 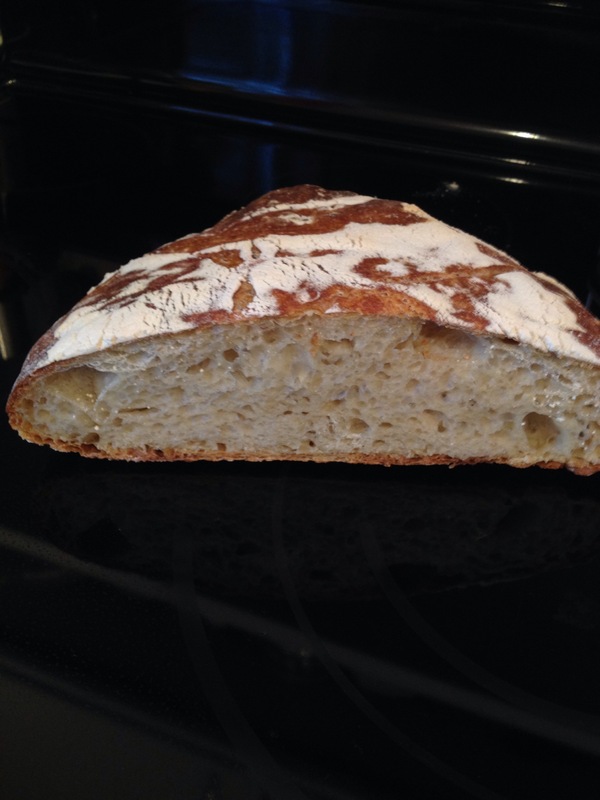 Here are a few pictures of my bread. The everyday bread which we use for toast, and a new recipe I tried recently for a rustic country loaf. I ate almost half the loaf with butter within a few minutes of coming out of the oven! 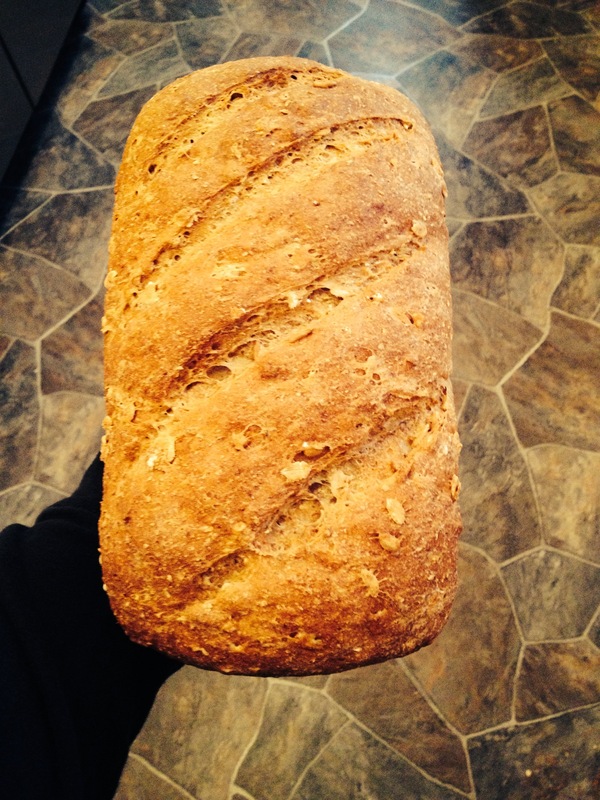 Posted on December 7, 2014, in Breadmaking, Homesteading, Homesteading In The City and tagged artisan, baking, breadmaking, flours, homemade, Homesteading. Bookmark the permalink. 3 Comments. Ever do anything with sourdough? I see you enjoy fermented foods and drinks. Sourdough has been my fermenting downfall and I would welcome any tips. I’ve tried sourdough, but it eventually turned into a science project on a shelf at the back of my fridge where I had forgotten it. Sounds like a familiar sight.